My mom dug up this old school assignment of mine. 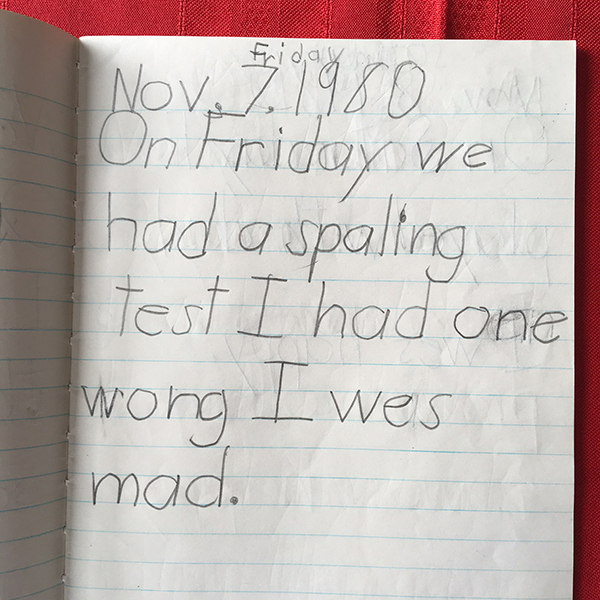 We had to keep a journal for a few months in elementary school. This particular page is a gem. After Aaron looked at it he asked "Are you sure you only had ONE word wrong?" HAHAHA.